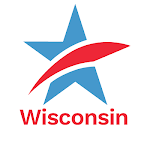 First Order of Business of the New Assembly: Soak Wisconsin Taxpayers for Partisan Redistricting by Big Madison Law FirmTweet this! This is the new Assembly's first step toward exercising fiscal responsibility. Unbelievable. Wisconsin is in deep trouble if these guys get away with this. Deep trouble. Oh, they'll get away with it. Who's going to stop them? Because they won the election they'll consider it a mandate and this is what Wisconsin voters want them to do. Do Wisconsin voters really want THIS? I think too many people just don't know enough about redistricting to understand why this is such a dirty move. One hopes the price tag for this power play might at least get people's attention. Many don't realize it, but citizens have it within their power--individually and collectively--to raise their voices and effect change. Letters to newspapers, calls to legislators, persistence and grit can eventually change the current corrupt status quo. Cynicism and paralysis will certainly not.